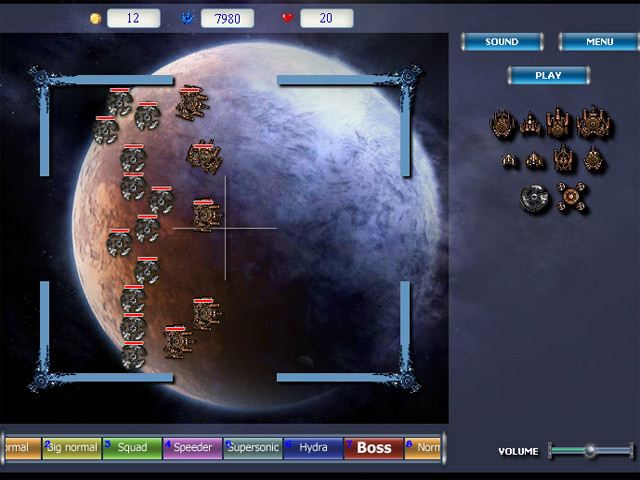 Defeat the invading alien hordes by building up your defenses! Use different ships to destroy the incoming forces.Defeat the invading alien hordes!Defeat the invading alien hordes by building up your defenses! Use different ships to destroy the incoming forces and protect your planet in this Tower Defense game. 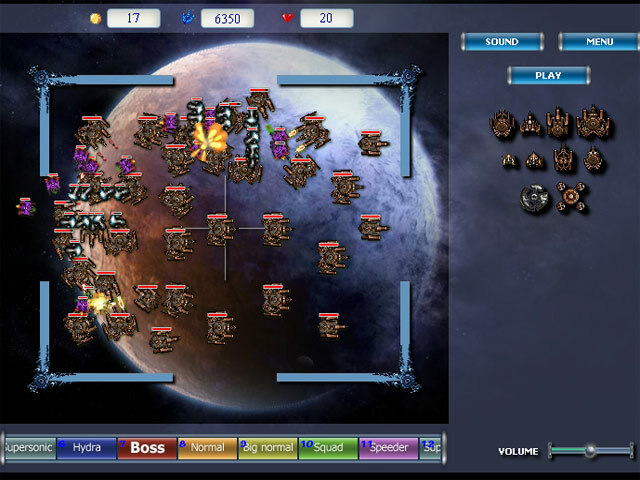 Wave after wave of different enemies will arrive, keeping you on your toes the entire time! 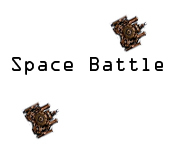 Can you survive this vicious Space Battle?